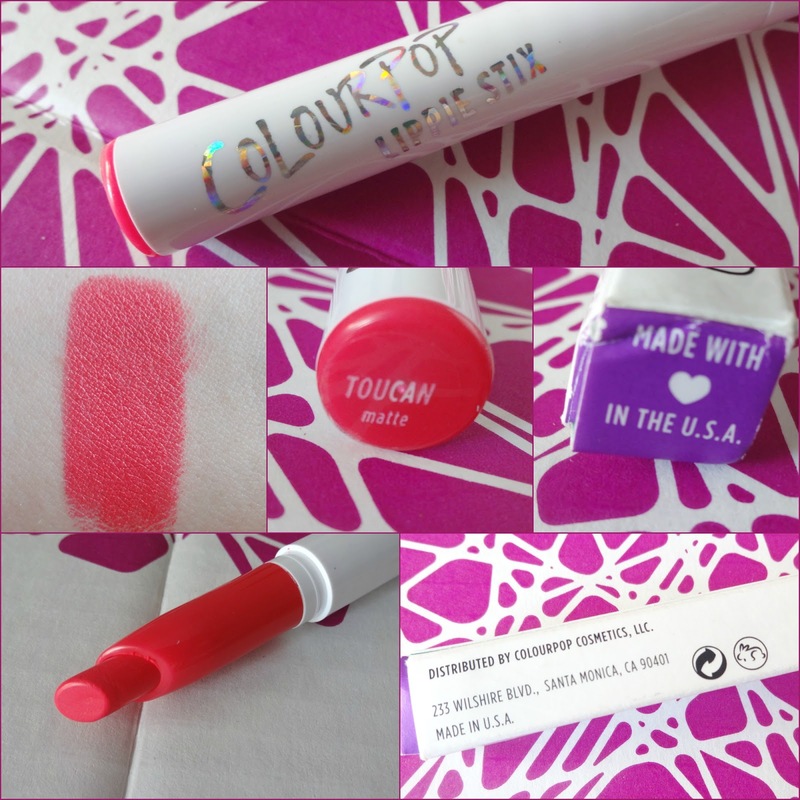 How could I miss the craze and rave going-on in blogosphere for ColourPop Cosmetics? 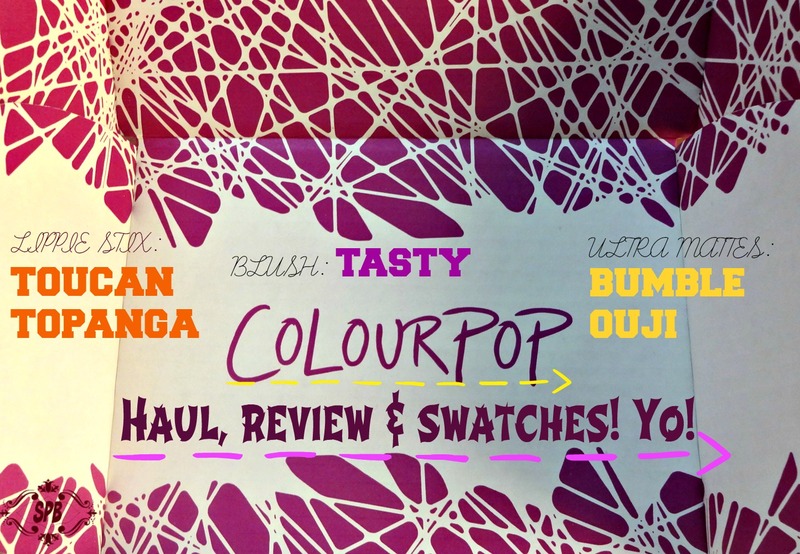 Here is my Haul along the review and Bomb Swatches! Are you ready? Read More to Reveal More!!! Now the real treat for all my followers, you will get swatches of all these beauties in this very post with a detailed review :) Howzat?! 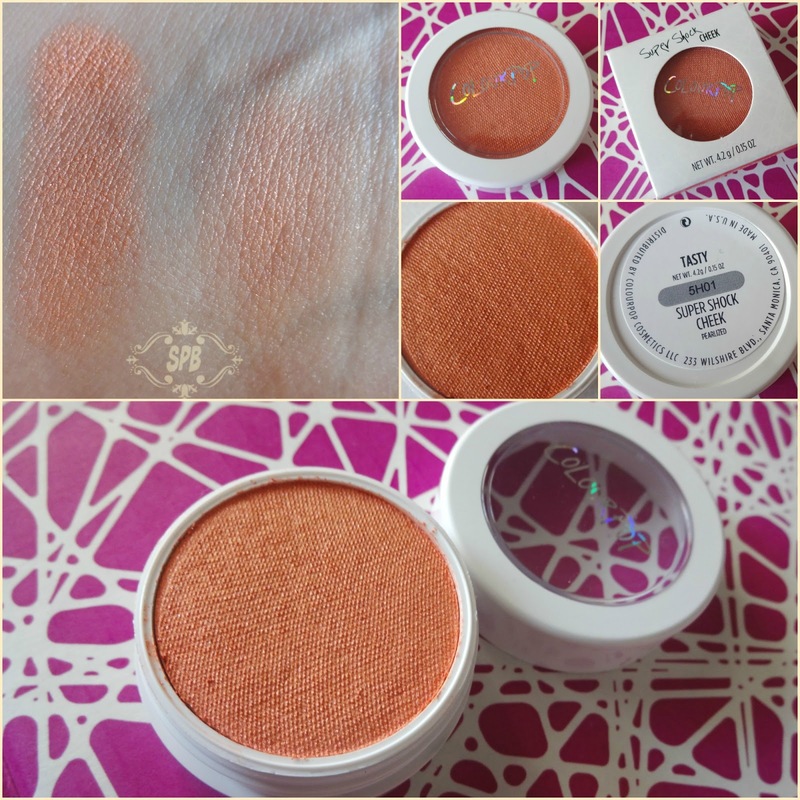 While I was searching hard to get the best shade of a blush or a highlighter from ColourPop, this beauty showed up. 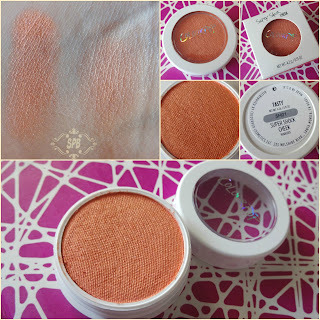 Tasty serves double purpose due to its pearlized finish, its a blush plus highlighter, so decision was made! We all know about how the softness, creaminess of CP blushes are raved, yes that's very much true. I am amazed that how the texture of this blush is creamy, nah its a powder blush. Pigmentation is great. Its a coral shade with and copperish hues, as the site describes it as "Candy coloured coral with multi-dimensional pink and copper duo-chrome finishes. You’ll be so tasty, we already know". Tasty gives a sheen/pearlized finish, this serves the highlighting purpose as well. I love wearing it alone and also love to dab it over my regular blush, just on the cheek bones to accentuate them. No fallouts! Its a must try. 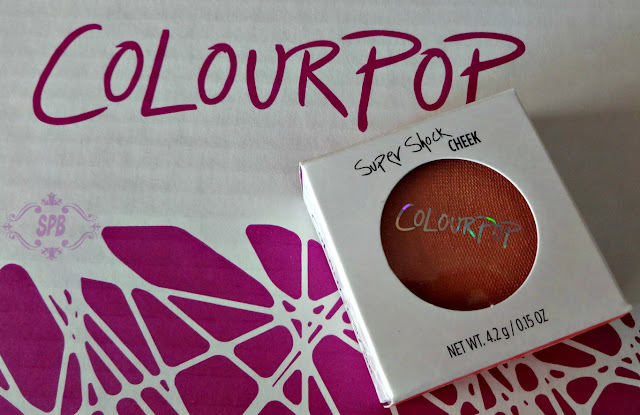 CP Super Shock Cheek "TASTY"
This actually is my first ever product from CP, thanks to my #samenamebuddy Huda N who gifted this on my birthday this year. Topanga is from the "Satin" range of Lippie Stix. 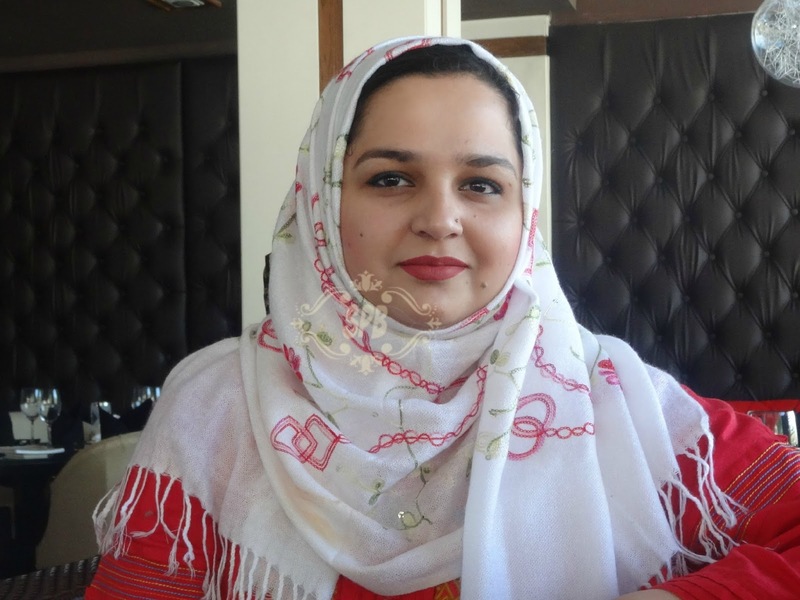 Its perfect for my choice, as I like Satin/cream finish in lipsticks more than matte. The shade is a muted coral as appears on my lips. CP describes it as "A mid-tone dusty coral in a Satin finish – You’ll love this like Corey loves Topanga". 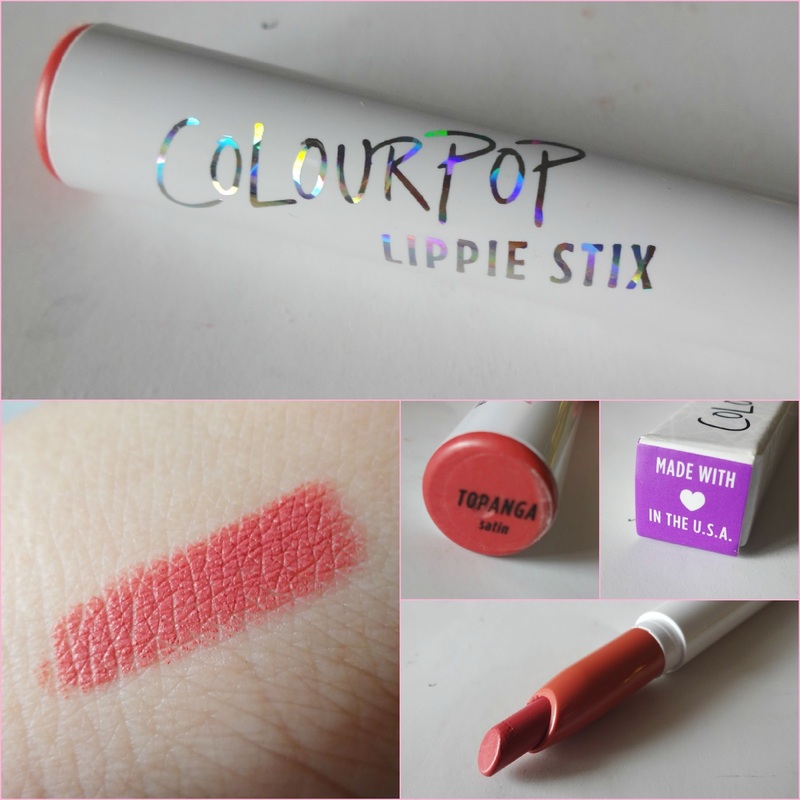 CP Lippie Stix Matte "TOPANGA"
Toucan attracted my attention for being a good wearable redish pink from the matte range of Lippie Stix, not disappointed at all. CP says "Two can tango in this bright pinky red coral in a Matte finish". 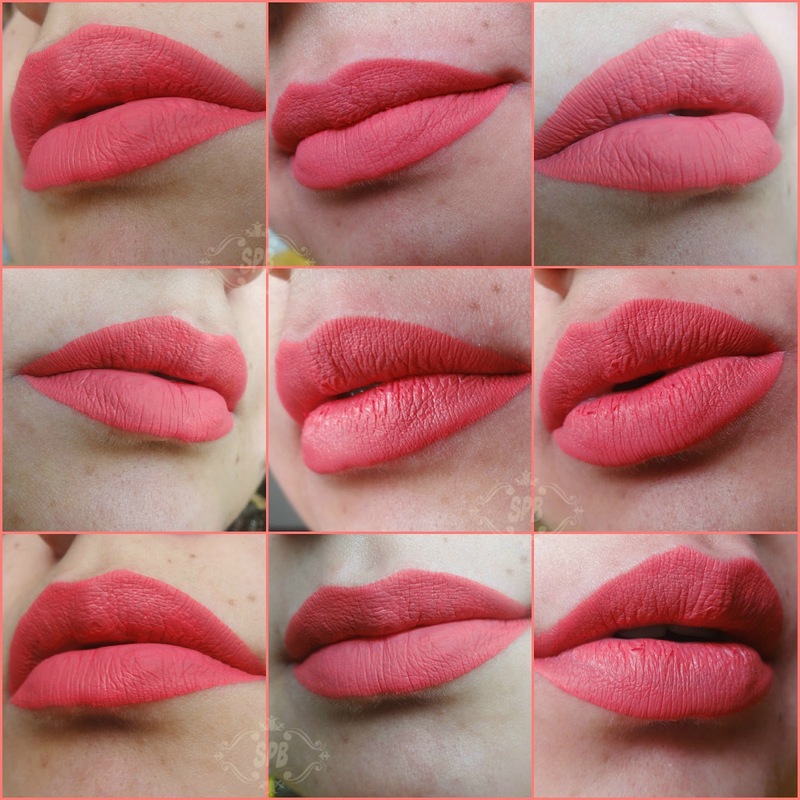 So it is a mix of all my favourite lip shades :p This is Matte so the formulation is a bit drying, and it tastes plastic-y (may be its only me). 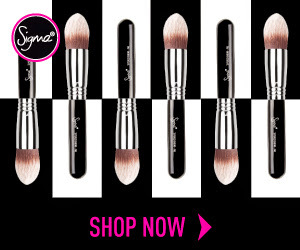 Pigmentation is great, you get desired shade in single swipe. Its kinda shade that makes you stand out, but in a good way, not like a bright-neon. 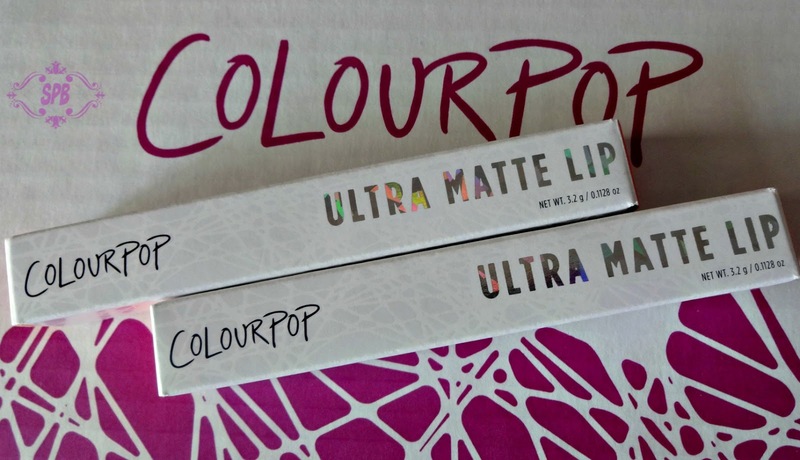 CP Lippie Stix Matte "TOUCAN"
CP Ultra Matte Lip is the thing! no one can miss or skip it. So didn't I. Chose two shades after well searching, re-searching the swatches and reviews online. These liquid lipsticks are not my first ones, but I must say they are different than the ones I have tried so far. Due to high demand the shades come and go from the list on the site. The formulation is creamy/semi-matte (in application) matte finish, quick drying, pigmentation and drying-out-lips vary shade to shade, well the rest of the details in the individual reviews. Below are the hand swatches. CP Ultra Matte Lip "OUIJI" and "BUMBLE"
The formulation is creamy, the finish is very Matte and this one does dry-out-the-lips. So much so that if the lips are not exfoliated before application flakes will appear. 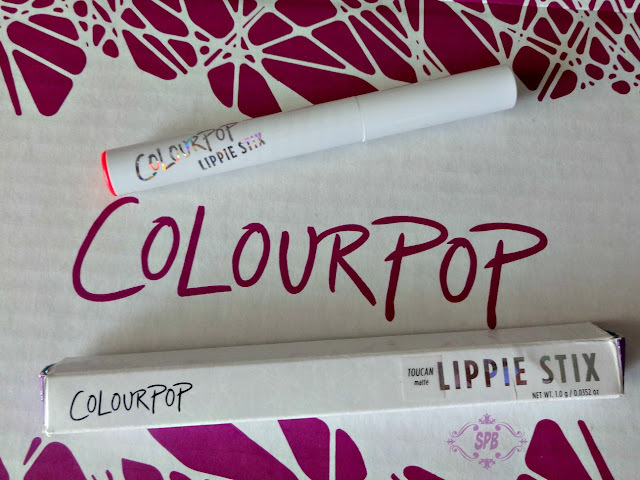 The pigmentation is not that opaque, so you'll need more than single swipe, and with a liquid lipstick that IS tricky. I'll mention few tips below read them to save your lips and keep enjoying your CP Ultra Matte lip. Bumble was an impulse decision, it was "love at first sight" rather this shade made me have this haul! enough said. I can not express my love for Bumble in words *tears of happiness in my eyes*. This is the brown/earthen shade I have been looking since ages. CP describes this beauty as "Everyone will bee buzzing when you wear this dusty warm terracotta". Its a magic in the tube, sometimes it looks dark, vampy, yet sober, a brown mixed with pink... unable to describe it. Pigmentation is great single swipe and you are done. Not as drying as Ouiji. 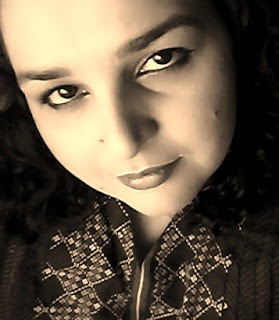 Staying power is awesome, it survives all my chattering and even desi food, I have to remove it myself, never needed a retouch yet. At a recent blogger meetup at #DCC, everyone who swatched it fell in love with it and wowed to buy it sooner or later. 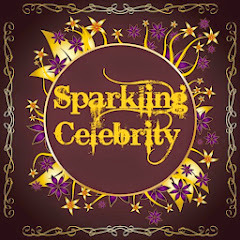 Have a look yourself and bedazzled! 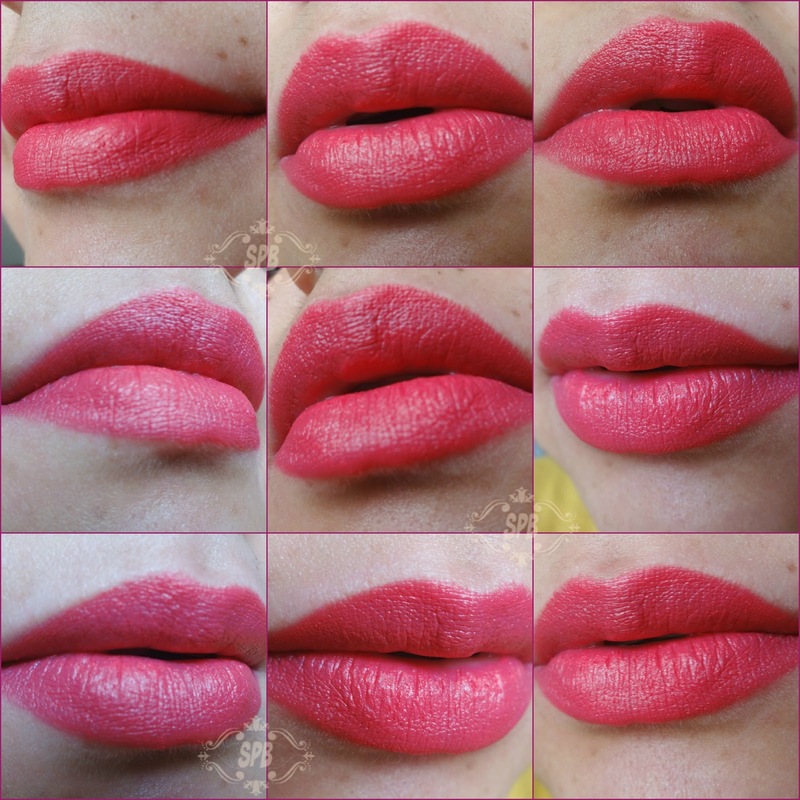 CP Ultra Matte Lip "BUMBLE"
Hope you like this review post full of details, tips and swatches. Do let me know in comments that "Have you been stuck by the ColourPop craze yet?" Visit ColouPop Cosmetics on Facebook and website. Follow #SPBlovesColourPop on Instagram, Facebook and Twitter. Lovely post as usual Huda! Tasty gives such a nice glow. 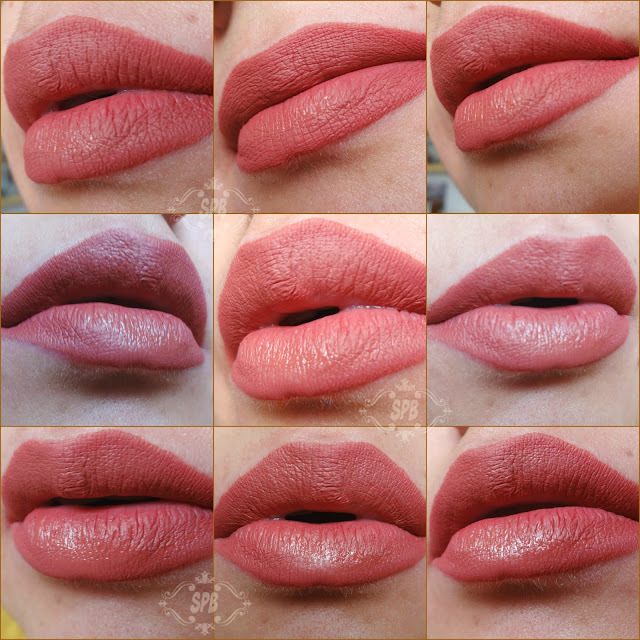 Loved the lip swatches. Oh my god! Toucan and Ouiji are SO my type of shades. 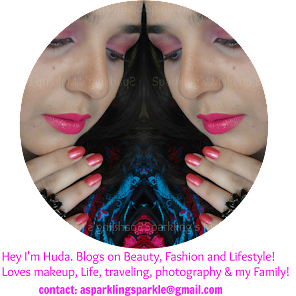 Your swatches are sooo beautiful Huda! Colourpop does everything right =D It has become one of my most favourite brand lately !!! 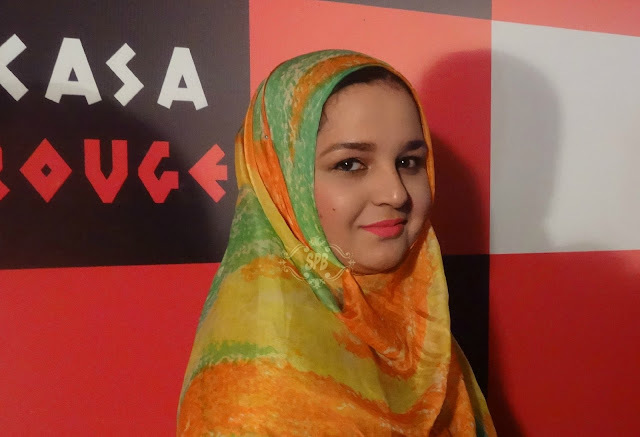 Loved the indepth review and you look so elegant Huda (^_^). PS. 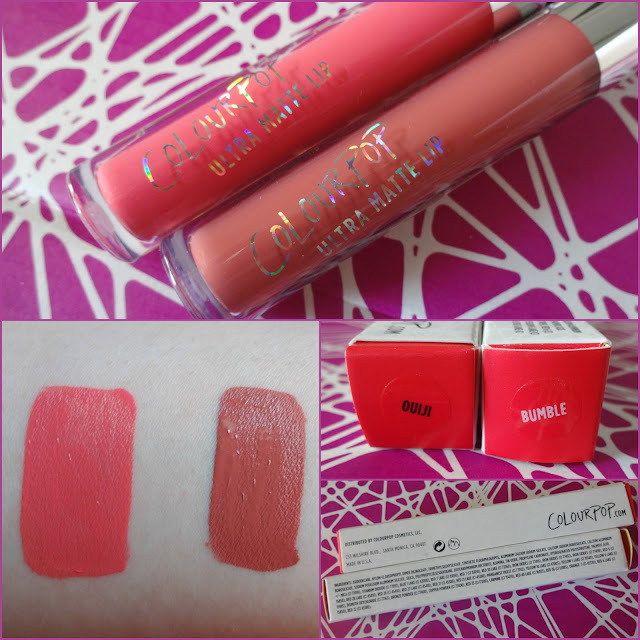 I ordered bumble after swatching yours :P cant wait to get it =D ! Omgg! You've made me want Toucan now! Its so beautiful. And I've ordered Bumblee. Can't wait for it to come! 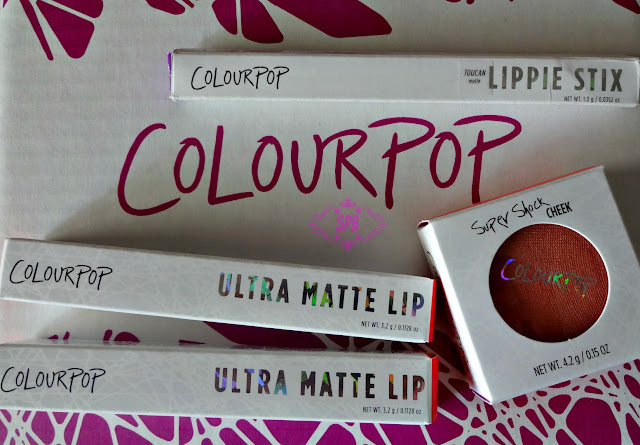 Such a lovely haul, couldn't wait to get some Colour pop products. Lovely swatches. I am so getting Bumble now! That Blusher is such a pretty shade!! 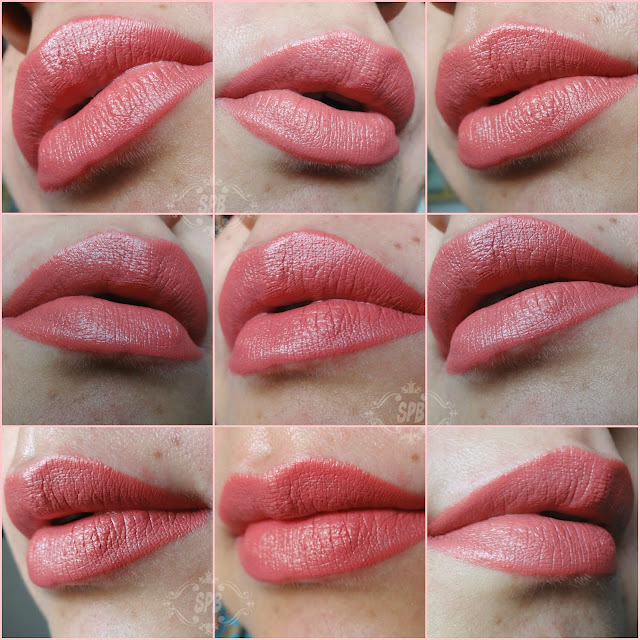 Also girlll your lip swatches are amazing and now I've got to finally get one of their Ultra Mattes Liquid Lipsticks! Loved the review!